Kis Se Hogi Zayaan Ki Shaadi....Mariyam Ya Faiza? Adhoori Aurat is the story of a girl named Maryam, who believes in the power of love, and sacrifice everything to keep her husband and family life intact but is facing problems and as the time proceeds loses her husband to a conniving girl, but wins the trust of her kids back with her patience and perseverance. Her husband is also remorseful but by now Maryam has lost the respect and love for the person who was once the centrifugal point of her life. 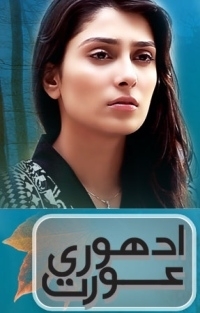 On this page: Adhoori Aurat story, synopsis, wiki and details about the tv show.